If you’re interested in becoming an aviator, our friendly staff is dedicated to making it happen. 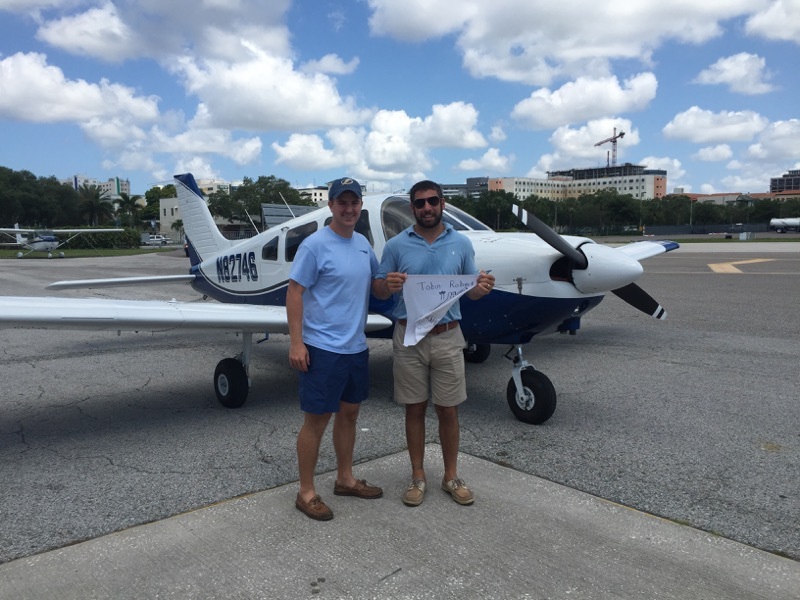 Our flight school is staffed with instructors who have both trained and conducted training in the Tampa Bay area, having logged many hours training student pilots locally. Our instructors can customize your learning experience to suit your personal needs, whether your goal is to begin a career in aviation and take an accelerated path towards the commercial level, or to fulfill your dream of becoming a private pilot at your own pace. St. Pete Air offers flight training under F.A.R. Part 61 criteria for all ratings. Our primary training fleet consists of a Diamond DA40, Cessna 172 G1000, Cessna 172 P, and Piper Archer/Arrow models equipped with Garmin GNS-430 GPS systems. All aircraft are equipped with state-of-the-art Traffic Awareness Systems to provide you with the highest level of safety. Rates are twofold: you’ll pay the instructor rate plus the rental rate of the plane of your choice. 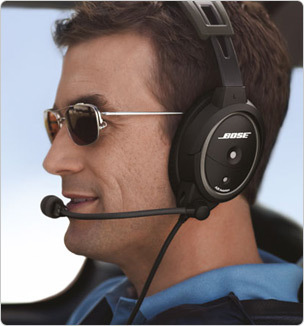 Includes 15 hours of dual flight instruction with 5 hours of ground, headset and flight bag with required materials. Do the math… this will save you a few hundred dollars!! Designed to take your Private Pilot experience to a safer level with increased instrument training. Can be used towards your instrument rating. The FAA requires a minimum of 40 hours with each criteria met below. Most students finish their requirements in 50-60 hours. Our instructors will work with you to meet your timeline and goals. Be at least 17 years of age. Students may begin training prior to this as young as 14. Be able to read, write and converse fluently in English. 3 hours of flight training with an authorized instructor in preparation for the practical test. To further understand the process of earning a private pilot license please refer to our Private Pilot Syllabus, which will explain the steps and requirements that will help in your journey towards becoming a pilot. Next course announcement coming soon. Contact Danielle Broussard, [email protected] for registration and details. St. Pete Air will be conducting ground school courses periodically. The course will focus on the oral component of the private pilot check ride and will be useful for students pursuing a private pilot license, those returning to flying, or those seeking a refresher course. The class will be held on a weekday evening from 6-8 pm for 6 weeks. The course includes 12 hours of ground class. Please inquire at [email protected] to be placed on our ground school wait list. *Please note: if a ground school course is not scheduled at this time, you’re welcome to begin ground sessions one on one with one of our certified flight instructors – who can cover the same material. Book a Discovery Flight to see if becoming a pilot is for you. Only $89! Take the controls of our Cessna 172S with a Certified Flight Instructor on a flight around the St. Pete area and determine if the path of aviation is for you! Passengers welcome for $25. Some restrictions apply.